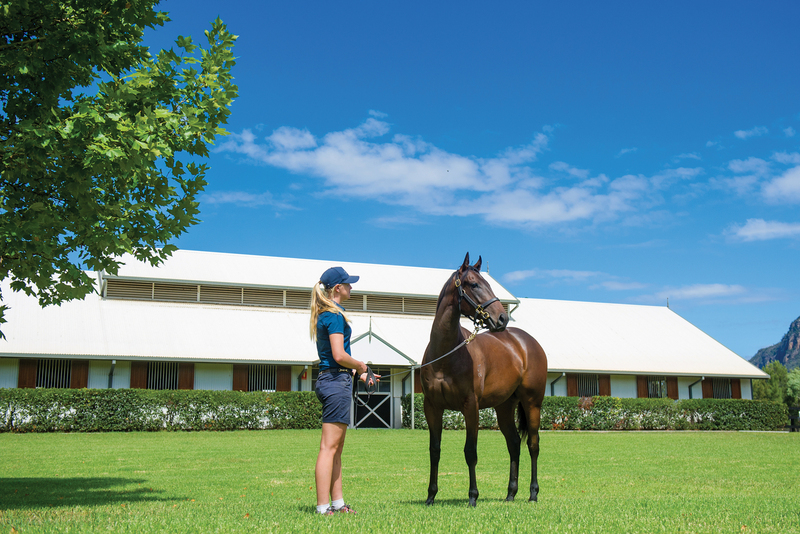 With Widden’s twenty two Easter yearlings entering the final stages of their sales preparation, we sought the counsel of three of the industry’s leading buyers, Alan Bell, Tony McEvoy and John Moore, as to what was the attraction for them of buying from Widden. Alan Bell: I guess the main reason is I’ve had a lot of luck with Widden consigned horses, but then there has to be some rationale behind that success. I would put it down to the fact that any business that has been the leader in its field for over 150 years, and continues to excel, must have been consistently making the right decisions. Also, the team at Widden have a wonderful micro-climate within which to raise horses, and they use that to great advantage. One only has to look at the size of their paddocks, and the way they use them, to understand they have a natural advantage that is maintained through the application of best agricultural practices. Tony McEvoy: They know what they are doing. Buying off the right farms is among the key criteria for me and that Widden has been in business for 150 years speaks volumes. Also, while it doesn’t necessarily make the horses run faster, Antony, Kate and all the Widden staff are nice people, good people to deal with. They are always very honest in their appraisal of their horses and you get the feeling they have your business as much in mind as their own when they sell you a horse. It’s always a pleasure to do business with them. John Moore: Because I’ve had great success with Widden bred and raised yearlings down the years, it is a must for George and myself to inspect their draft. One important element of any business is building relationships through trust and my Dad George and Antony’s father Bim had a great rapport built on such trust. As the next generation I think Antony and I have just carried that on. Widden also has a history of breeding precocious horses that are ready to run and that fits nicely with the Hong Kong model. I can offer my owners those early maturing types to target the Hong Kong two-year-old griffin races which start in mid-April. Numerically the competition in those races isn’t strong and that gives my owners a chance for a quick return on investment. What success have you had with Widden yearlings? Alan Bell: In recent years the best two I’ve had would be Star Turn and Graff, both by Star Witness. Star Turn had terrific speed and has let down into a magnificent stallion while we are hoping Graff will continue his upward curve and take a Gr.1. John Moore: Plenty over the years. One that springs to mind is Inspiration (Flying Spur) which we bought out of the Widden draft at the Inglis Easter Sale of 2005. He went on to win the Gr.1 Hong Kong International Sprint for us a few seasons later. We also bought Running Tall (Stratum) from the same sale in 2010 and he won a VRC Sires’ Produce while we also had great success with the Widden raised Happy Zero (Danzero). Tony McEvoy: Sunlight is the most recognisable. Her two seasons so far have been exhilarating, taking feature races on the Gold Coast, then Sydney and then Melbourne. We also have her Widden bred younger sibling Sisstar which we hold great hopes for. What do you expect to see when a Widden yearling comes out of its box? 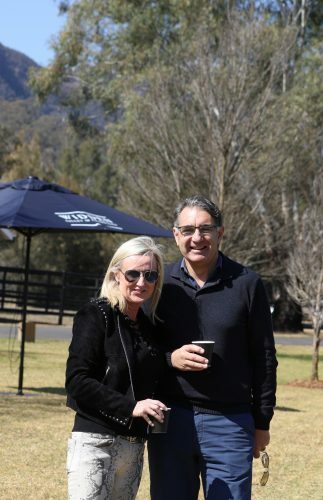 Alan Bell: I expect I will see a yearling that has had the benefit of roaming those expansive, lush paddocks and grazed in that micro-climate I spoke of earlier. I also expect to see a horse that reflects the century and a half of experience in horse husbandry developed by the Thompson family. Antony and his ancestors have been breeding elite Thoroughbreds since the stud’s inception, but they can only have continued that success over time by employing and developing staff that were willing to follow the lessons learnt from their experience. Tony McEvoy: Everything about a Widden presentation is just so professional and that is reflected in what is paraded before you. They have tremendous staff who have been well coached, well trained ready for when someone like me comes along. Every horse that comes out has been well reared, has very good bone and you know you have a racehorse with good substance ready for when you get them home and start training them. It also helps that they always come with the best of pedigrees. John Moore: When George and I visit the Widden barn the one thing that we know we are going to get is a type that fits the sale, and for Easter we know that we will see an athlete, the type of horse we are looking for. Then, as a secondary consideration, we will look at the pedigree page. Antony also knows the type of horse we like and will make sure they are presented to us. Of the twenty-two Widden yearlings catalogued for Easter, nine will be by the recently deceased Sebring. Given the high-level performers he has sired and the sheer number of winners he has had it is easy to forget he was just thirteen when he passed and that he has just seven crops of racing age. How time flies; his own son Dissident, a former Horse of the Year, already has two-year-olds. This year’s Sebring offering from Widden consists of six colts and three fillies headed, in most people’s minds, by the half-brother to the above-mentioned Sunlight, winner of a Magic Millions 2YO Classic and a Gr.1 Coolmore Stud Stakes. And it should be noted that Sebring covered Solar Charged once before, the result being Sheikha who was Gr.3 placed at two. Widden will also offer Sebring colts out of Union Street, a half-sister to the Melbourne and Caulfield Cup winner Viewed, one out of the Gr.3 placed Lucky Angel, another out of Northern Glory who was also Gr.3 placed, then a grandson of the good New Zealand mare Black Mamba who went to the US and won at Grade 1 level, and a full brother to the Group placed pair Sebring Dream and Positive Problems. Amongst the three fillies are the second foal of the Gr.3 winner Intimate Moment, a filly out of Swing Vote who is a Northern Meteor half-sister to Hong Kong Champion Rapper Dragon, and another out of Epona Princess, a Listed placed half-sister to New Zealand Gr.1 winner Warhorse. Although only young himself most expect Zoustar to fill the void left by Sebring’s passing and Widden will send two lots of his to Sydney. His colt out of Ready As Elle may have a significant pedigree update by the time Easter rolls around as her current two-year-old is the highly rated Accession who won the Inglis Nursery and is on a Golden Slipper trail. His lone filly is a granddaughter of the Australian Oaks winner Danendri. Widden’s diverse draft also includes yearlings by industry stalwarts such as Fastnet Rock, Star Witness, Teofilo, So You Think and Tavistock along with a handful by exciting young stallions including Spirit Of Boom, Charm Spirit and Vancouver. One thing is for certain, each youngster will carry the polish of 152 years of expertise with them when they enter the ring.